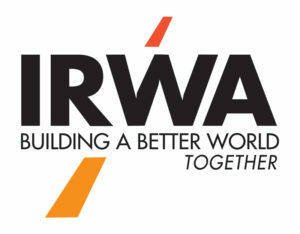 International Right of Way Association (IRWA) North Star Chapter 20 is the premier organization for right of way professionals throughout the State of Minnesota. Chapter 20 hosts bi-monthly meetings, educational courses, and networking opportunities designed to provide our members with the tools and resources needed to become and remain leaders in the right of way profession. To become an official member of IRWA Chapter 20 and take full advantage of the benefits we have to offer, check out the membership page for more information. In June, several Chapter 20 and Region 3 members will attend the 2019 International Education Conference in Portland, Oregon. In addition to education and networking opportunities, these individuals will be helping to promote the 2020 Education Conference – which will be held in Minneapolis on June 21-24, 2020. We will be ordering polo shirts with the 2020 conference logo on them, and all volunteers at the 2020 Exhibit Hall Booth in Portland will get a free shirt. If you are unable to attend the 2019 conference or are not volunteering in the booth, you may purchase a shirt to support Chapter 20, Region 3, and the 2020 International Education Conference. Shirts can be purchased through the paypal link below – all orders must be received by Thursday, May 9.